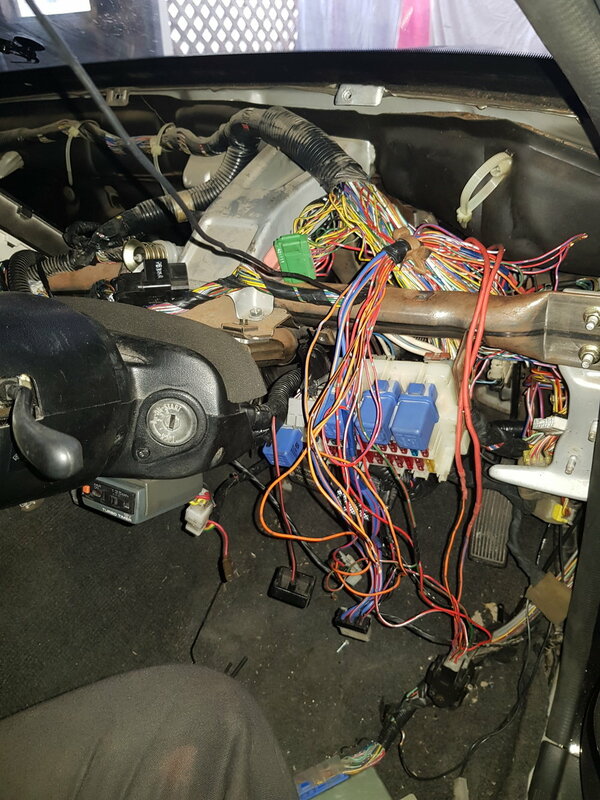 We started pulling the dash out and then started removing the loom from the vehicle.... by the end of the day the drivers footwell... looked like something out of a horror movie.. There is no turning back now.. We removed the entire loom from the front of the car to the back... It's official.... It now has no factory wiring.... None at all infact!